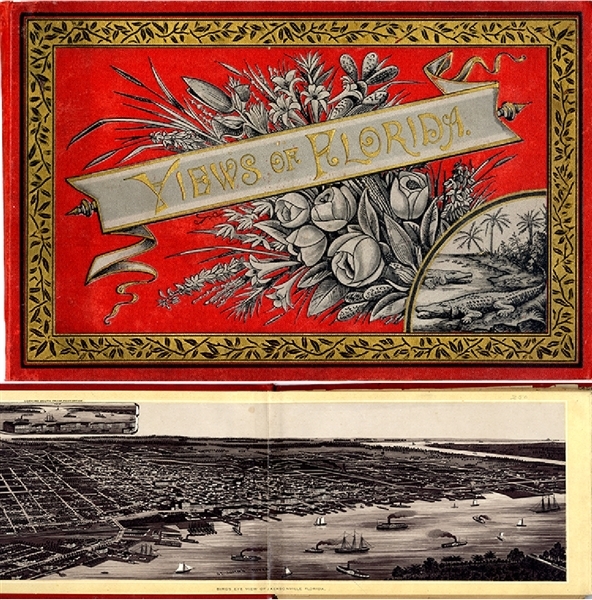 Book, 9-1/2” x 6-1/2”, “Views of Florida”, gilt cover, 26 accordian folded pages of photographic images including spread of “Birds Eye View of Jacksonville” and other scenic views and buildings. Fine. nd, c1890.